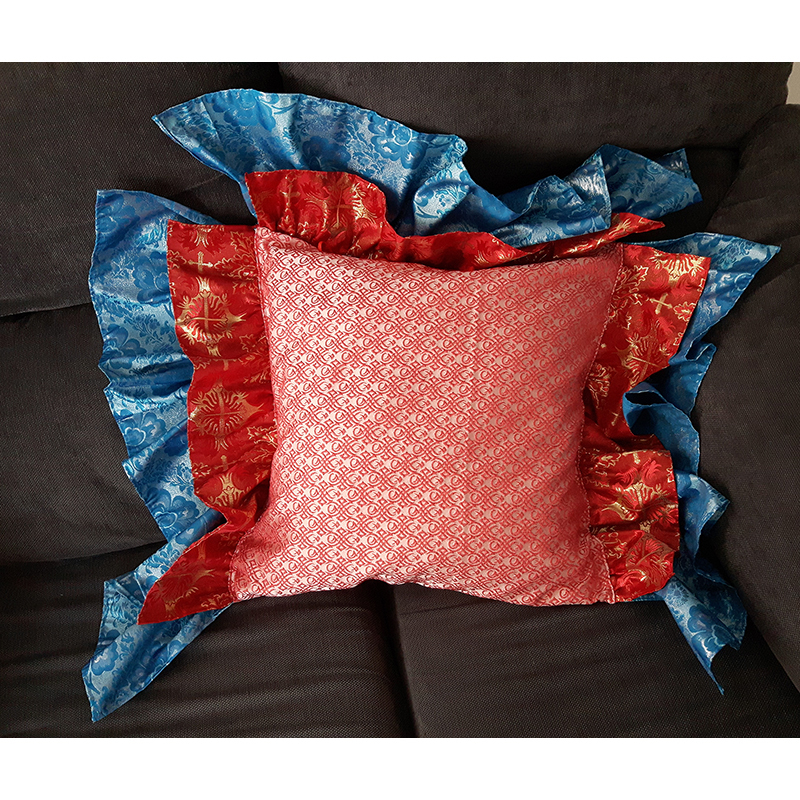 Exclusive pillowcase for your livingroom. 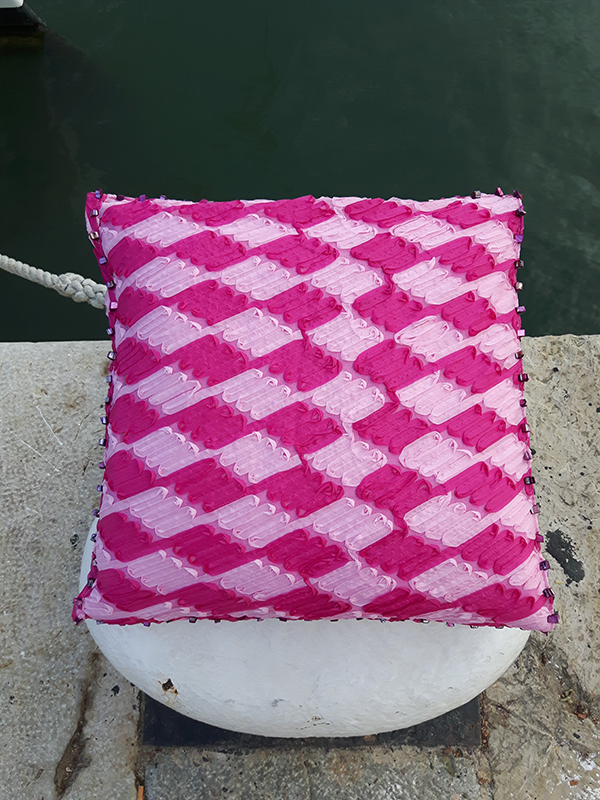 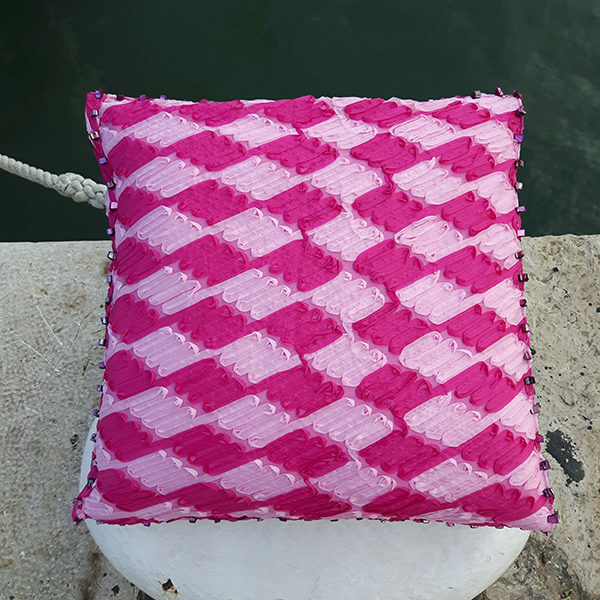 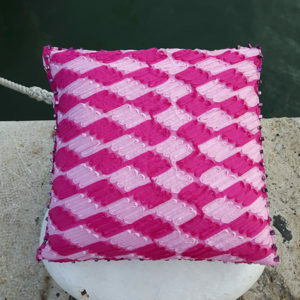 Size: 54 x 54 cm (length of flounce – 21 cm). 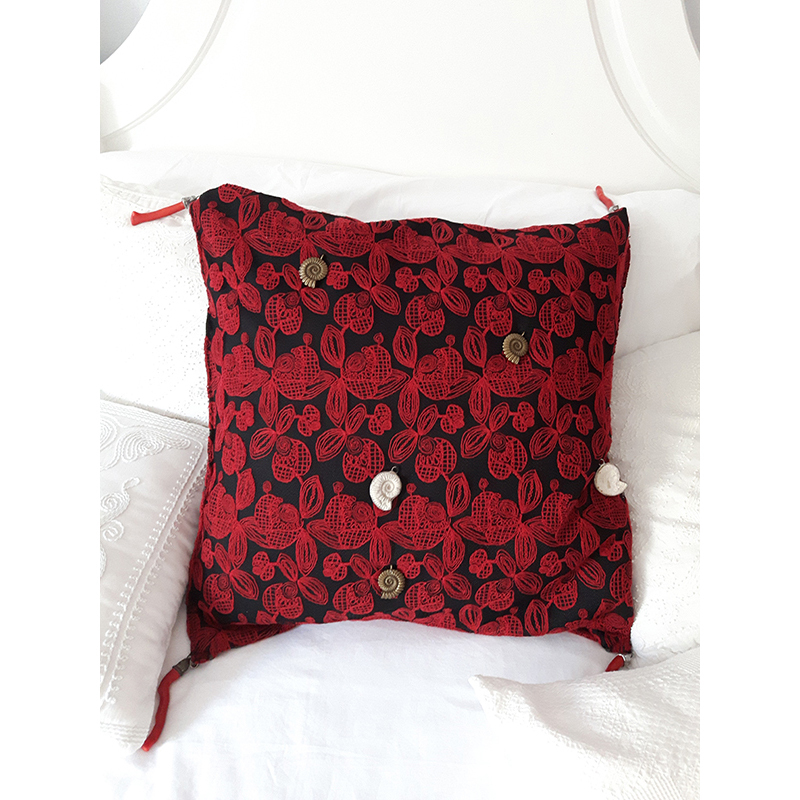 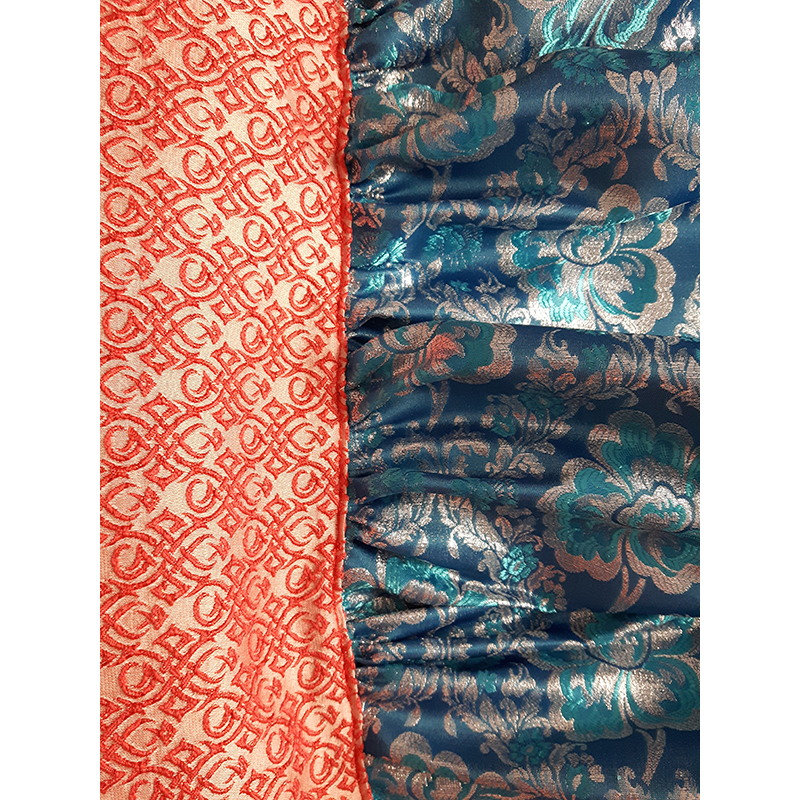 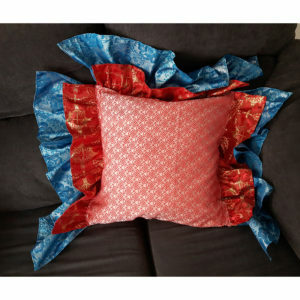 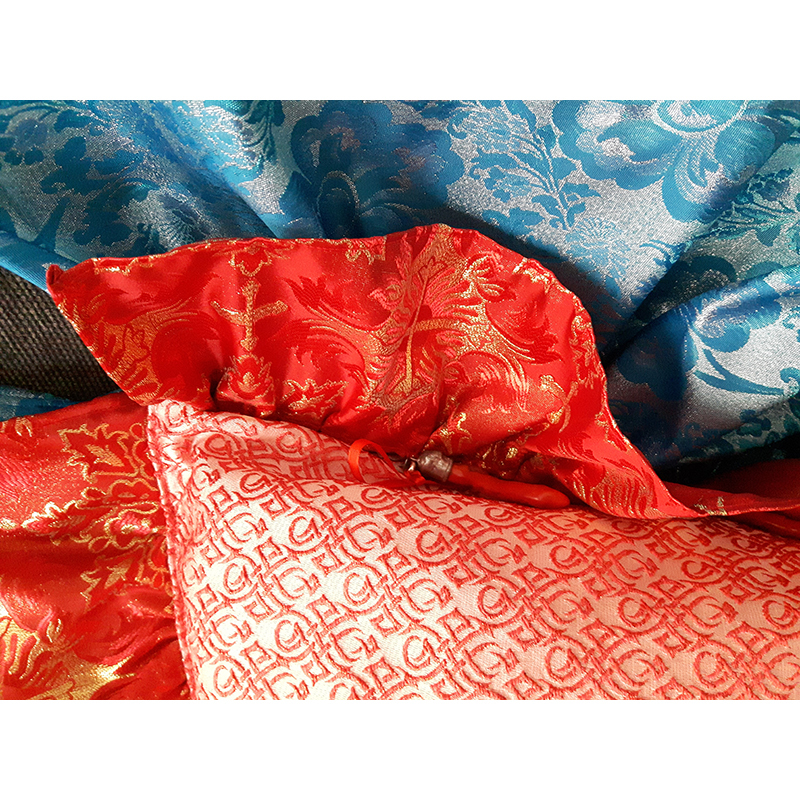 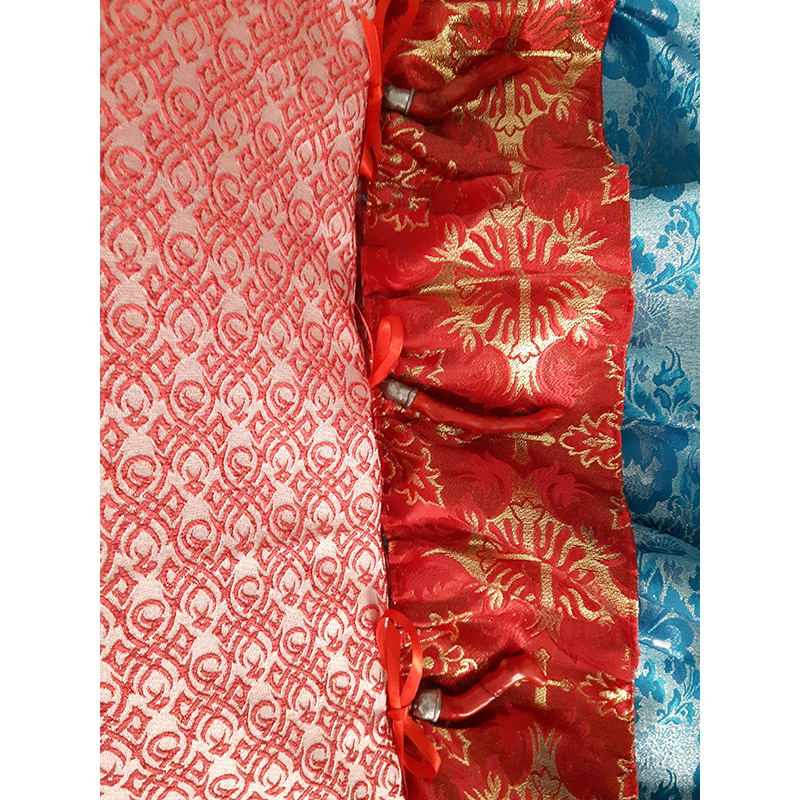 Decorative cushion cover with flounces: patterned, shiny synthetic fabrics in shades of red and blue. 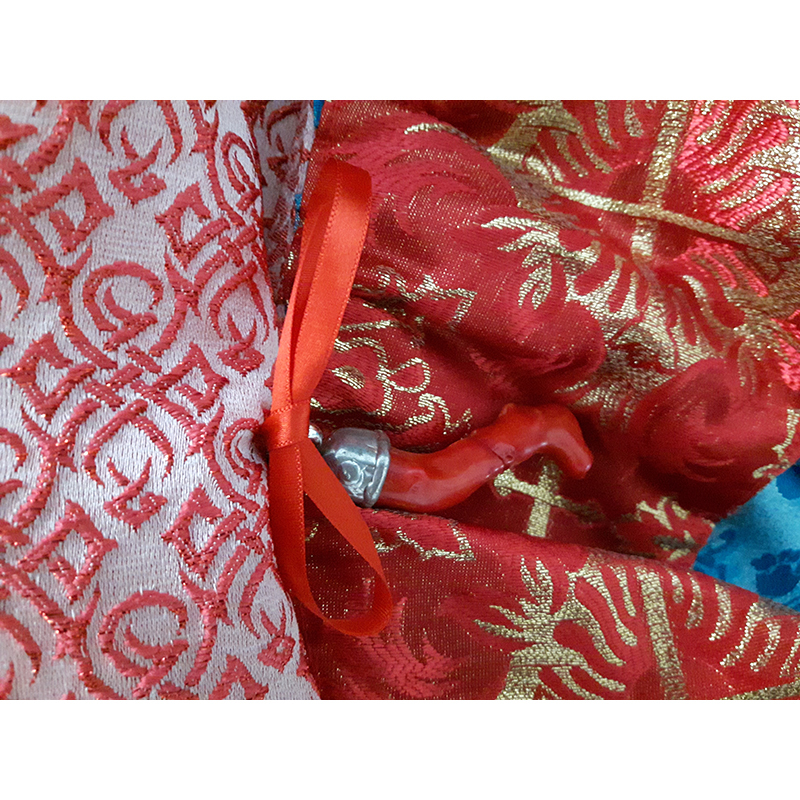 Natural, framed red coral (3 pieces) is used as decorative clasps.